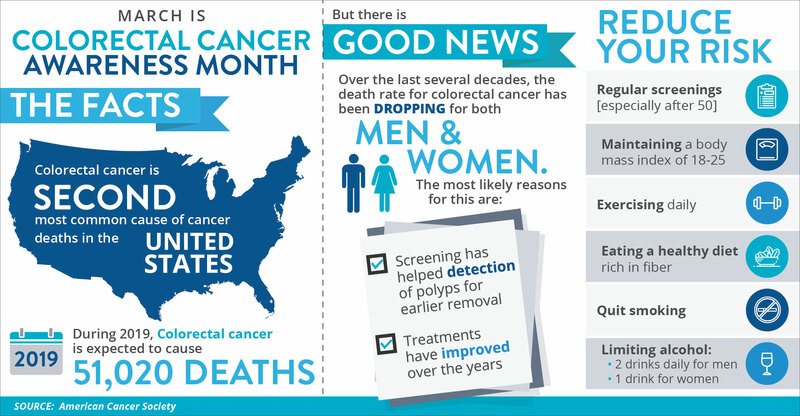 March is Colorectal Cancer Awareness Month and we want you to know the facts. Early intervention and regular screening are key to reducing your risk. If you’re over 50, or you have a family history of Colorectal Cancer you can book an appointment with your internist to get a screening done.